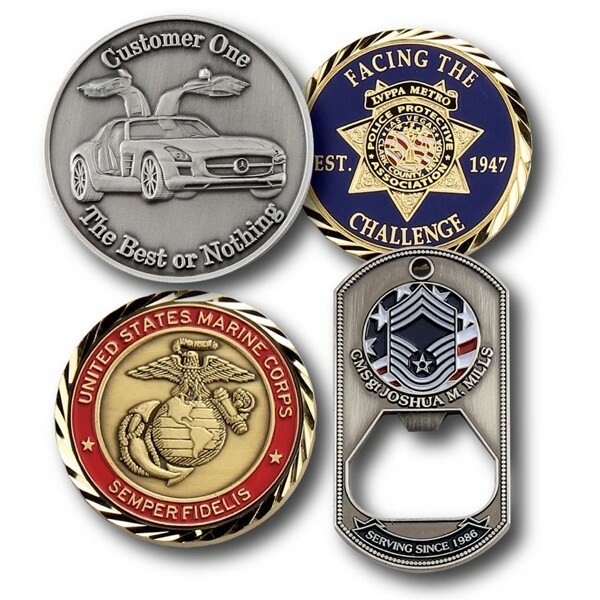 For over 40 years we have been striking and casting the very best military, police, and recognition coins, also known as "challenge coins" by the military. Every branch of the military purchases millions of coins per year for use as recognition, achievement, and morale builders for servicemen and women. We are proud to have produced coins for special forces, 4 star Generals, the Pentagon and thousands of US Military units that help protect our nation. Quality, unique jewelry and accessories. Copyright Renee Marie. All rights reserved.